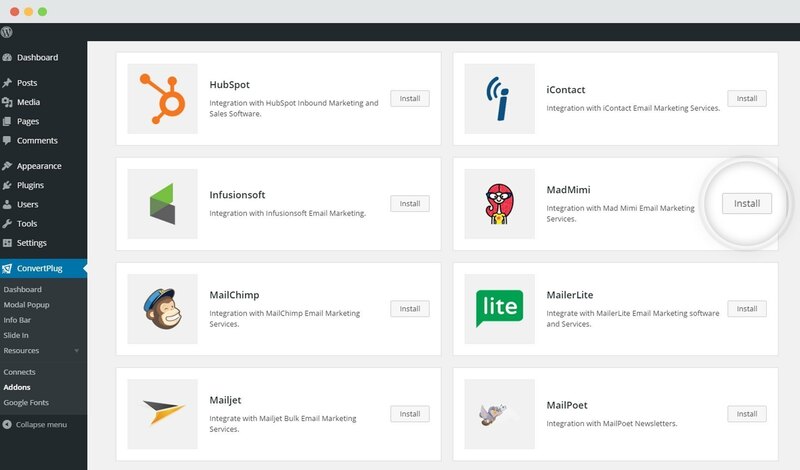 ConvertPlus offers seamless integration with Mad Mimi. 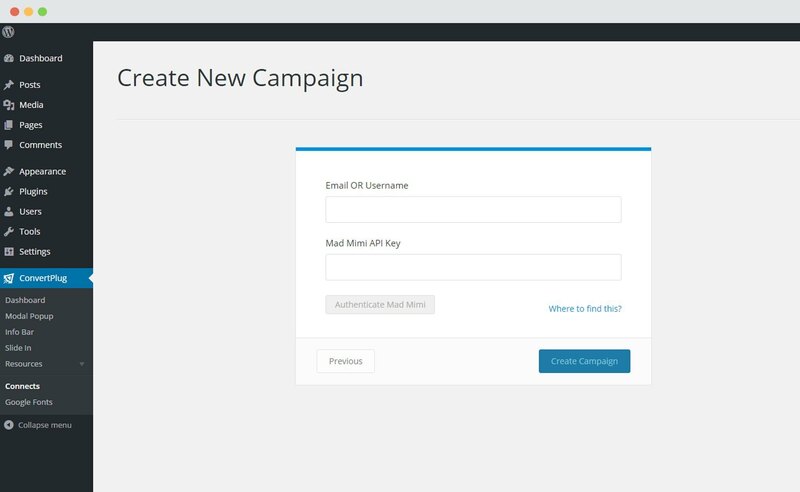 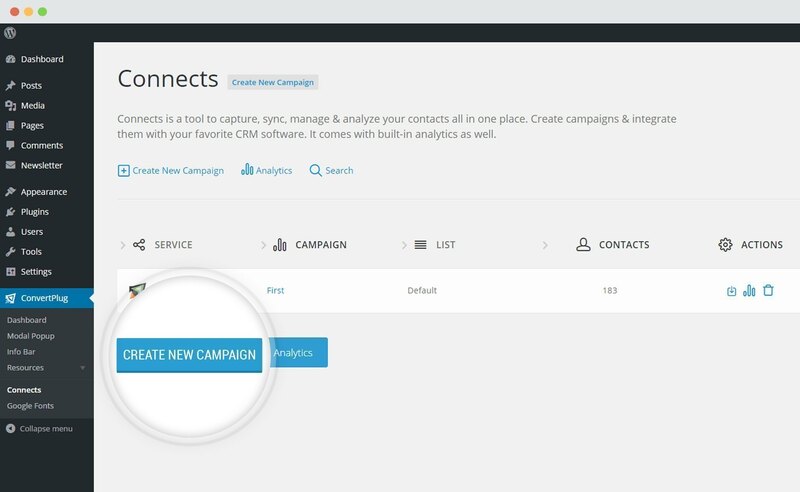 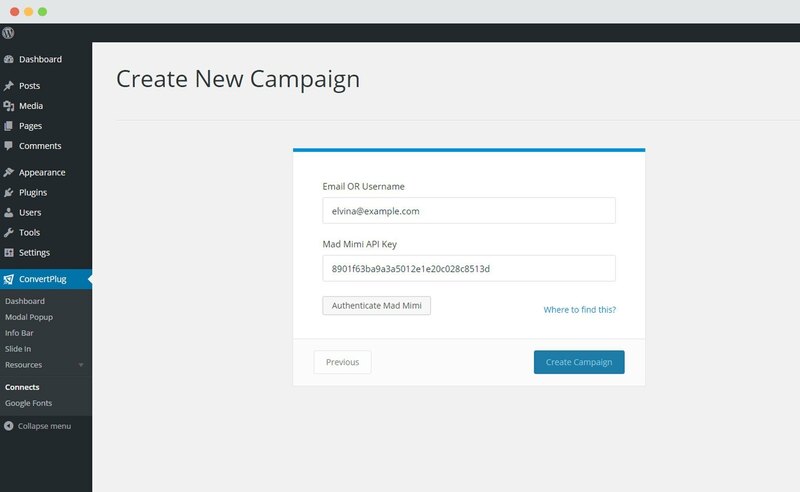 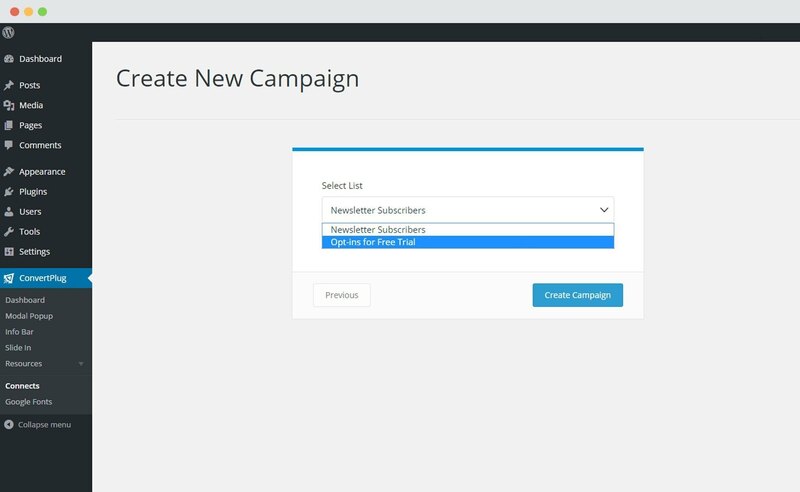 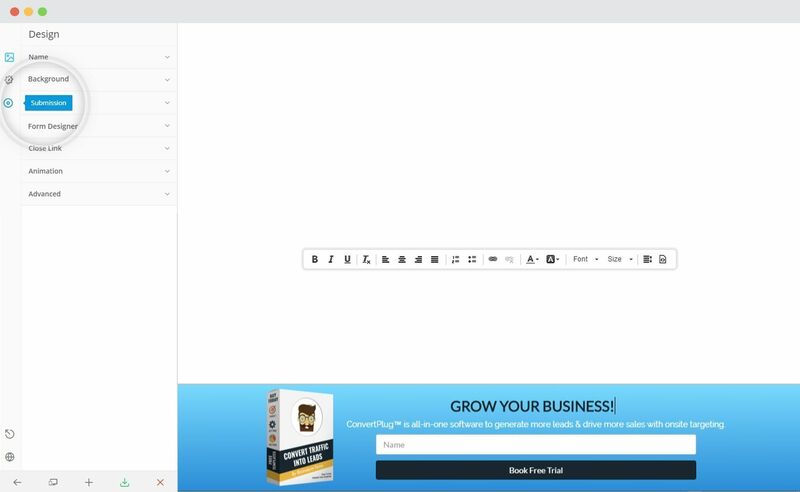 You can now capture leads through the subscription forms created in ConvertPlus and execute an email marketing campaign with Mad Mimi. 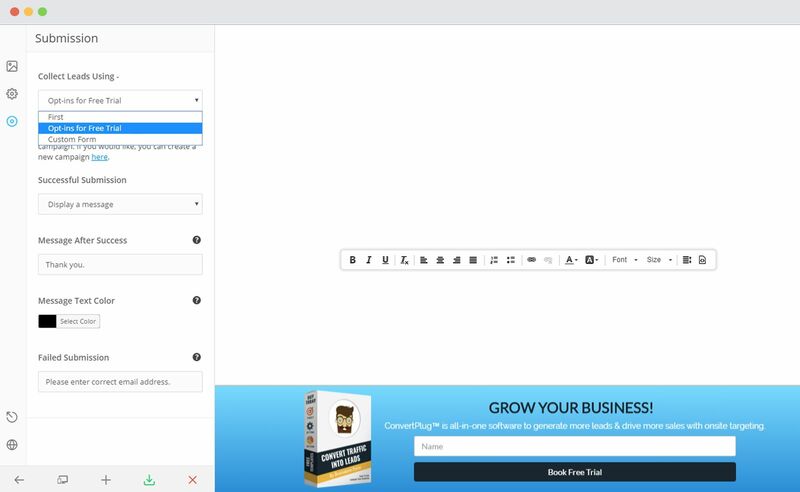 In order to integrate ConvertPlus with Mad Mimi, you can follow the steps mentioned below. 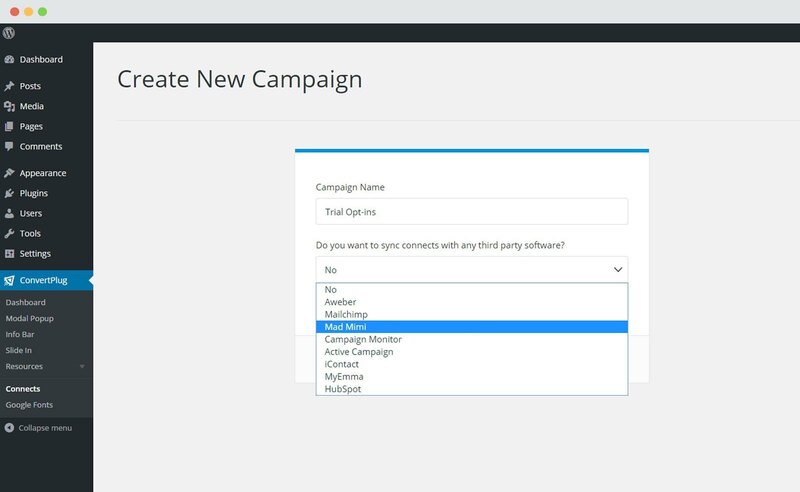 Select Mad Mimi from the drop down below. 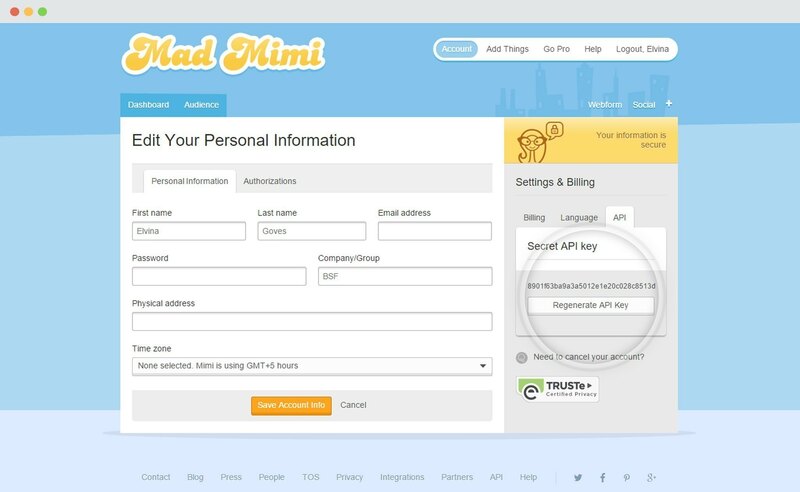 For the integration with Mad Mimi, you need the Email ID or Username and the API key. 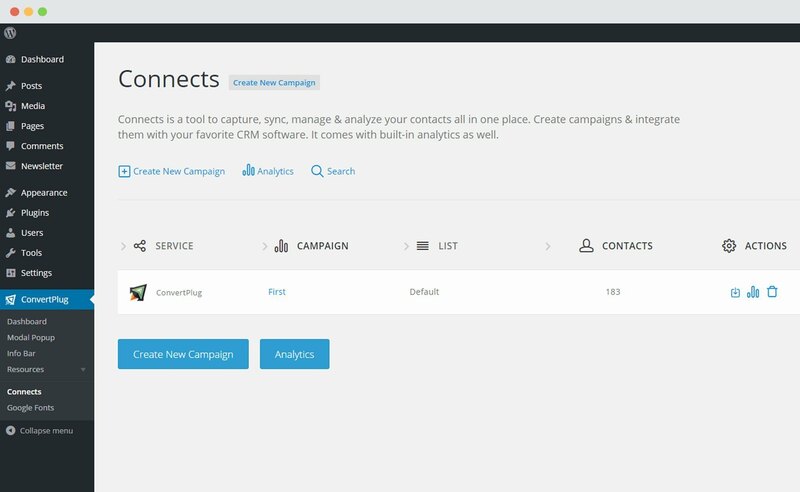 Copy the API Key and paste it in the connects interface. Enter the username or email id with which you registered in Mad Mimi.